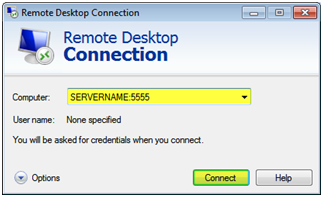 In this article we will change the default listening port for RDC/RDP from 3389 to 5555. This is useful when you want to prevent external or internal users from scanning port 3389 to see what computers are available to connect to. Sure they can scan port 5555 however it is another step for an intruder and they will need to figure out what is running on port 5555 once they see it is open. 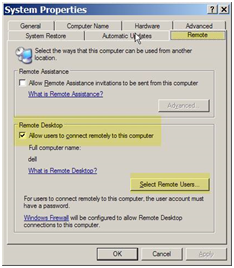 Select the users you want to be able to login remotely. By default RDC/RDP runs on port 3389. 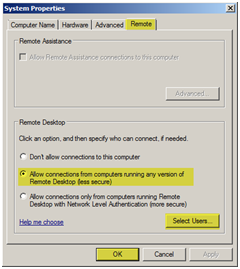 When you connect using Remote Desktop Connection it uses port 3389 even though you cannot see it. 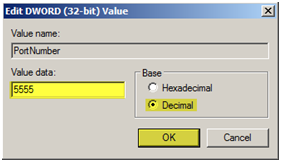 You can see the “PortNumber” value is set to 3389 by default. 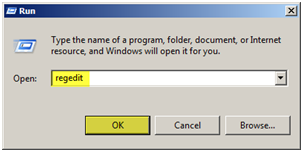 You can close REGEDIT at this point. A restart or reboot is NOT required for this change. This entry was posted on Wednesday, July 21st, 2010 at 12:50 pm and is filed under Windows 2003, Windows 2008, Windows 7, Windows Vista. You can follow any responses to this entry through the RSS 2.0 feed. You can leave a response, or trackback from your own site.